Bharat Book Bureau Provides the Trending Market Research Report on “Wood-Plastic Composites Market: Global Industry Trends, Share, Size, Growth, Opportunity and Forecast 2018-2023” under Chemical & Materials category. The report offers a collection of superior market research, market analysis, competitive intelligence and industry reports. Global Wood-Plastic Composites Market reached a volume of around 3.3 Million Tons in 2017. The market is further expected to reach a volume of nearly 6 Million Tons by 2023, exhibiting a CAGR of around 10% during 2018-2023. Wood-plastic composites are hybrid materials which are made by blending natural wood products such as bamboo, pulp, bark etc. with thermoplastics or polymers. These products can be easily drilled and planed and are created by using biodegradable, recycled, renewable plastic materials. Wood-plastic composites possess qualities of both wood and plastic. These composites are versatile, durable and rot resistant in nature which makes it possible for the manufacturers to produce them in any shape. Wood plastic composites are capable of working in high temperature zones owing to which they can be used in the locations where normal wood materials cannot be used. Production of these materials encourages the reuse of wood waste which is otherwise sent to landfills. The use of wood plastic composites prevents the deforestation owing to which they act as an ideal substitute for hard wood. Additionally, the manufacturing process of wood plastic composites does not involve any chemical which can be harmful or toxic to the environment. These environmental concerns and rising awareness regarding them act as a primary factor which has been driving the growth of the market. The demand for wood plastic composites has been witnessing a robust growth in the construction and automobile industries as they are inexpensive in nature and are easy to be used in different non-structural areas including balconies, staircases, pillars, etc. Wood plastic composites offer numerous benefits as compared to its substitutes. They are durable, rust-free in nature, require low-maintenance and sustain high temperatures on account of which they are being increasingly used in interiors, car speakers, and home furniture and kitchen appliances. This has contributed towards an augmented demand for wood plastic composites across the globe. There has been an increase in industrialisation and urbanisation in developing nations which has given a boost to the construction and building sectors. These are some of the growth-inducing forces which have been acting in favour of the global wood composites market. Based on the type of plastic, the market has been segmented as polyethylene, polyvinylchloride, polypropylene and others. Currently, polyethylene dominates the market, holding the largest share. Based on the application, the market has been segmented as building and construction, automotive, industrial and consumer goods, and others. Currently, the building and construction segment dominates the market, holding the largest share. Region-wise, the market has been segmented into North America, Asia Pacific, Europe, Middle East and Africa, and Latin America. Amongst these, North America is the leading market, accounting for the majority of the global share. The competitive landscape of the market has also been examined with some of the key players being Trex Company, Inc., Axion Structural Innovations LLC, Beologic N.V., Oldcastle Architectural Inc., CertainTeed Corporation, Fiberon, LLC, Fkur Kunststoff GmbH, Guangzhou Kindwood Co. Ltd., Jelu-Werk Josef Ehrler GmbH & Co. KG, Woodmass, PolyPlank AB, Renolit, TAMKO Building Products, Inc., TimberTech and Universal Forest Product. 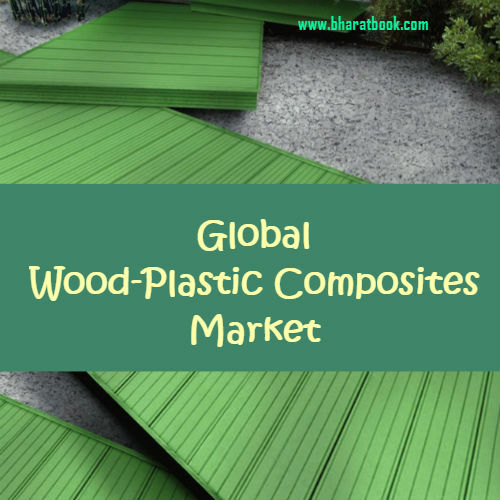 This report provides a deep insight into the global wood-plastic composites market covering all its essential aspects. This ranges from macro overview of the market to micro details of the industry performance, recent trends, key market drivers and challenges, SWOT analysis, Porter’s five forces analysis, value chain analysis, etc. This report is a must-read for entrepreneurs, investors, researchers, consultants, business strategists, and all those who have any kind of stake or are planning to foray into the wood-plastic composites market in any manner. How has the global wood-plastic composites market performed so far and how will it perform in the coming years? What are the key regional markets in the global wood-plastic composites industry? What is the breakup of the global wood-plastic composites industry on the basis of product type? What is the breakup of the global wood-plastic composites industry on the basis of application? What are the price trends of wood-plastic composites? What are the various stages in the value chain of the global wood-plastic composites market? What are the key driving factors and challenges in the global wood-plastic composites market? What is the structure of the global wood-plastic composites market and who are the key players? What is the degree of competition in the global wood-plastic composites market? How are wood-plastic composites manufactured?